In what's being called a "strategic alliance agreement," Altadis U.S.A. will begin distributing the products from Boutique Blends Cigars, a company owned by Rafael Nodal, his wife, Alina, and partners Hank Bischoff and José "Jochy" Blanco—and Nodal has accepted a position with Altadis as well. Starting June 5, all orders for brands such as Aging Room, La Bohéme, Oliveros and other cigars by Boutique Blends will be taken and fulfilled through Altadis and its sales team. Boutique Blends, which is headquartered in Miami, is a small cigar company with a portfolio that includes several critically acclaimed cigars, most notably the Aging Room Quattro F55 line, which was named Cigar Aficionado's No. 2 cigar of 2013 in the Concerto size. Altadis U.S.A. is one of the largest premium cigar companies in the world, the maker and distributor of major heritage brands like the non-Cuban versions of Montecristo, Romeo y Julieta and H. Upmann. The company is headquartered in Ft. Lauderdale, Florida, and is a subsidiary of Imperial Brands PLC, the huge tobacco concern that also owns 50 percent of Cuba's Habanos S.A.
"This strategic alliance will allow me the ability to invest more resources into bringing Boutique Blends to the place I always wanted to take it," Nodal told Cigar Aficionado in an exclusive interview. "The deal will give my Boutique Blends brands access to the largest premium cigar sales team in the business, a strong support structure and, importantly, one of the largest and most diverse tobacco inventories in the world." 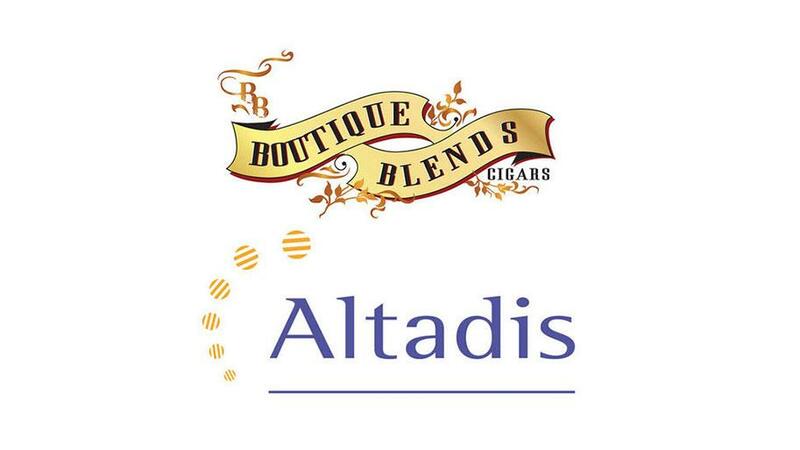 As part of the transition process, Boutique Blends dismissed its sales force (made up primarily of independent contractors) and is in the midst of moving inventory from its Miami warehouse to Altadis' in Tampa. With the new arrangement will come a new position for Nodal. In addition to looking after his own brands, he will also be overseeing development of some Altadis brands as well. "I am integrating to the Altadis team and will be working with all the premium brands," explained Nodal. "My main focus is on product quality and innovation of all premium brands, and secondly, on the strategic relations of Altadis U.S.A."
According to Nodal, he will continue to support his Boutique Blends brands, but Hank Bischoff will continue to oversee Boutique Blends operations and logistics. "Rafael Nodal, who has led the Miami-based group since 2002, will support our premium cigar Altadis U.S.A. business," said Javier Estates, head of cigar operations for Tabacalera USA, in an official release. "Rafael will focus mainly on product quality and innovation, on strategic relations with our trade customers and brick-and-mortar operations and other areas of the company." Formerly called the Habana Cuba Cigar Co., the Miami-based Boutique Blends Cigars gained major attention in the world of premium cigars when it introduced its line of Aging Room Cigars to the market. More recently, Boutique Blends collaborated with Altadis U.S.A. to create Romeo By Romeo y Julieta Aging Room Small Batch F25. The diverse portfolio of Boutique Blends cigar brands are manufactured in the Dominican Republic at Tabacalera Palma; in Nicaragua and Honduras by the Plasencias; and in Nicaragua by A.J. Fernandez. "As I look back to May 31 of 1980 when I arrived in Key West in a little boat with 300 other souls, I had no food, no clothes and certainly no money," recalled Nodal, who came to America via the notorious Mariel Boatlift emigration. "But I was full of dreams. My story is the story of millions of people that have come to this country looking for freedom and opportunity."